These days life is busy moving in all different directions but I still want to find time to sew. That’s why quick hitter projects like the Hen House Oven Mitts are so important to have in my toolbox. 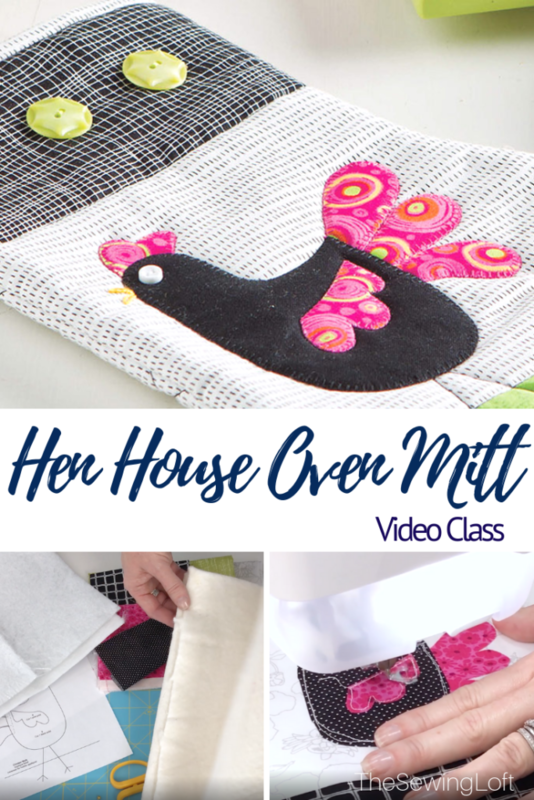 In my latest Learn, Make & Create class with Annie’s Creative Studio, I’ll show you how to make the oven mitt step by step. From the raw edge details to the quilting, we will cover it all! Distinguish between specialty and standard types of batting. Create optional dimension with simple quilting. Here is a quick video to give you a quick glance at the class. I’ll be teaching you directly from my studio and you can watch any time you like. 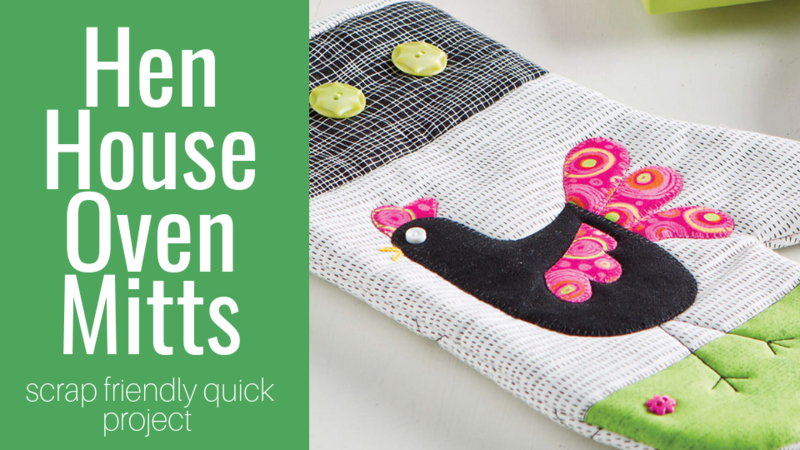 Once you join me in class to create this Hen House Oven Mitts, you will need a few supplies. This type of pattern is perfect for so many things. They make great newlywed or housewarming gifts, or you can coordinate the fabric to your kitchen and keep them for yourself. Either way, this quick project has you covered. So if you have some extra scraps or fat quarters in your fabric stash this too-cute-to-hide pot holder is perfect! Come join me on Annie’s Creative Studio and let’s start stitching together! Remember, they offer over six programs that include tons of exclusive content from instructors all over the industry, including me! Plus, there are hundreds of patterns for you to download. 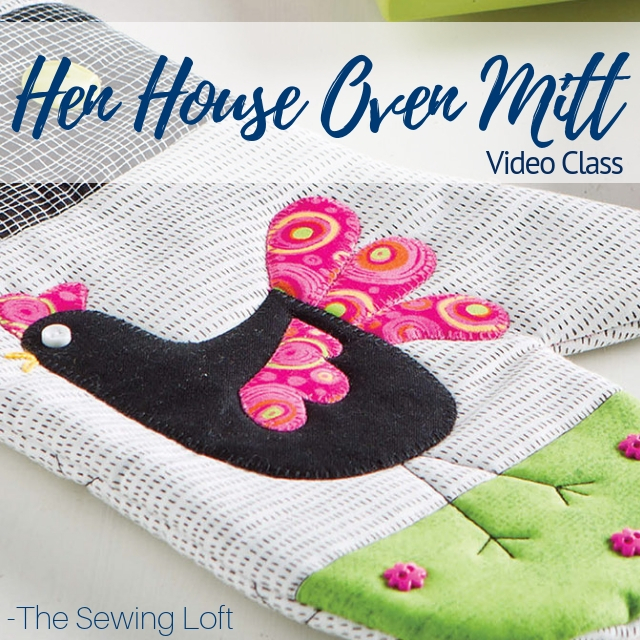 So what are you waiting for, are you ready to come join me in class and make the hen house oven mitts with me? Start your free 15-day trial membership today!